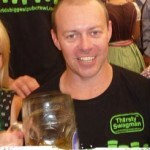 Multi-city / world beer tours: Take Thirsty Swagman’s Beer or Bust tour, for instance. It leads thirsty travellers around four beer-centric European destinations. You’ll hit up 1,000-year-old pubs in medieval towns, the world’s beer drinking capitals, and it all starts at Oktoberfest, the world’s largest (and most fun) beer festival. 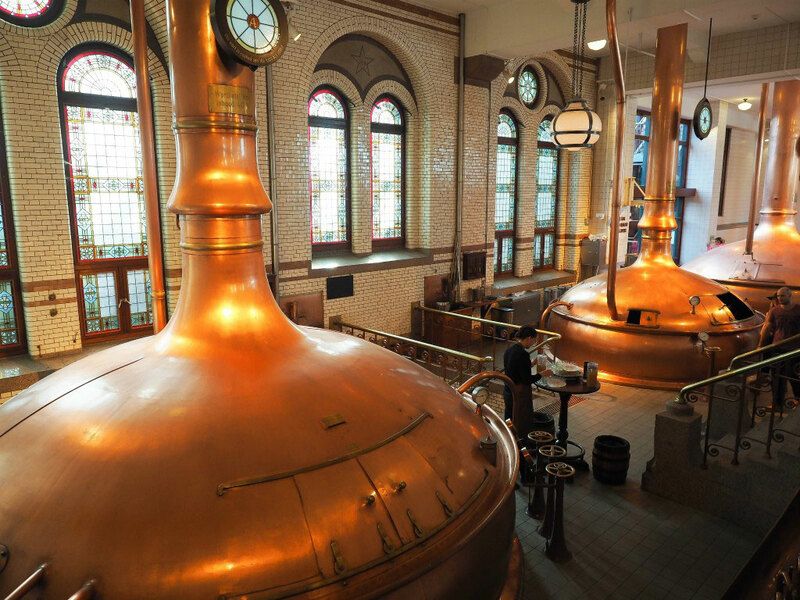 These European beer tours are ideal for getting to the roots of brewing and for finally making a dent in that beer bucket list you’ve got going. Citywide beer tours: Want to check out all the craft breweries in Burlington, Vermont? Or learn about Icelandic beer history in Reykjavik? There’s a beer tour for that. Brewery tours: A personal favourite of mine, brewery tours take you behind the scenes into a world of pure inebriation. On brewery tours you’re shown the ins and outs of brewing a particular beer, the factory, production lines, fermentation and mash tanks, and most importantly, the bottom of a glass. And sometimes there are horses. 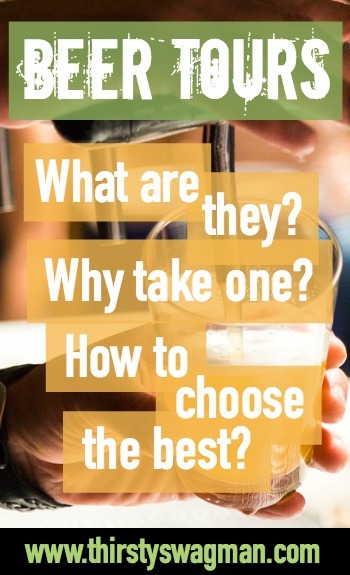 WHY TAKE A BEER TOUR? Any ol’ bloke can go to a bar and order a beer; your friends do it all the time. It’s learning about and understanding beer from the inside out that makes you better than them. You may be promptly wedgied after spouting hop facts at happy hour but still… knowledge. Another bonus is that on many beer tours you’re given the opportunity to sample beers you’ve never had, some rare or hard to find styles, or something you’d never dare try otherwise. I had a horseradish beer on a brewery tour once. Horse. Radish. Yeah. 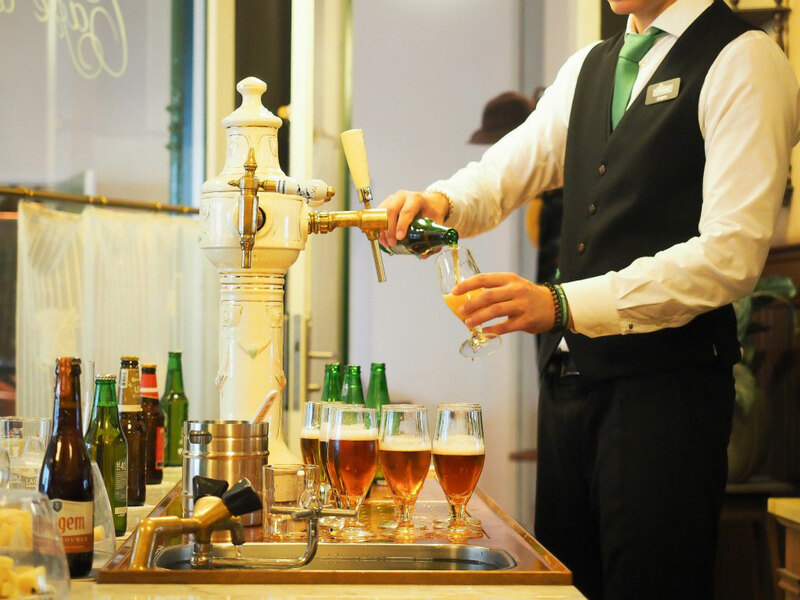 On multi-city beer tours to places like Prague or Bavaria, not only do you get to enjoy some of the best beers in the world, you’ll also gain an entire keg’s worth of beer knowledge and history. You’ll drink alongside Czech locals in the land of “most beer consumed per capita” and slam steins with Bavarian revellers in a land where beer has been brewed for thousands of years. You’ll shout “Prost!” more times than you could ever count, make friends from all over the world, and bond over the shared love of brew. City-specific beer tours are great if you’re new to an area, just passing through, or attending in your own town. Find the best beers and bars in the city as recommended by local, professional drinkers. (One moment please, *adds that to resume*) Often, these places aren’t in the guidebooks or on the placemat at that diner down the street. These beer tours include not only introductions to beers, bars, and burps but usually a pretty entertaining introduction to the city and its history as well. Brewery tours offer you an inside look at the brewing process and the beer business you’d never get otherwise. Got a favourite beer? Tour their facility and see exactly where the magic happens. Smell the fresh batches being brewed, watch the bottles zoom down the conveyer belt, pet their horses! Just about every brewery I’ve come across offers some kind of tour and the atmosphere is always welcoming. Plus, more often than not there’s free beer involved. So, no brainer. These beer tours often come with hilarious commentary, insider fun facts, the chance to try fresh or rare products, and a free tasting glass you can keep until you realize there’s no way that’s not going to break in your suitcase. WHAT MAKES FOR GOOD BEER TOURS? I know what you’re thinking: “Is there such thing as a bad beer tour?” And actually, no, not really. But there certainly are characteristics that differentiate the best beer tours from the… poop emoji. Free beer | A beer tour without beer samples is like driving a Lamborghini through a school zone or eating soy bacon—what a disappointment. Luckily, I have yet to come across one of these but it’s always wise to confirm beforehand. You don’t want to find out that T-bone is actually tofu. Wah-wahhh. 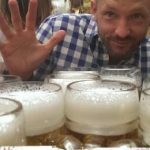 A great tour guide who really knows his/her stuff | A beer tour where the beer is the only good part is not a successful beer tour. The ones with tour guides who make you laugh hysterically and stuff your brain with interesting, little known facts to brag about to bartenders and tinder dates are the best of the best. A tour guide that speaks your language | This may sound obvious but sometimes the beer blinders get in the way of noticing such fundamental details. Want to know how a German beer tour goes when you don’t speak the language (the actual human language that is—not the language of lager; I’m fluent in that.)? 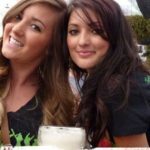 Read this post on my epic fail at Spaten. An open mind (and mouth, of course) | When taking beer tours in other countries, remember to keep an open mind in regards to the local culture, its history, and their beer drinking habits. Thou shalt never judge a region where beer is cheaper than water. I’m looking at you, Czechia! Your fellow tour-takers | Make sure to choose a beer tour that caters to like-minded individuals for the best possible atmosphere. When there’s a crying baby on your beer tour… Ashley, out. You want to leave your tour having made new friends, not regrets. Horses are always a plus. So while beer tours comes in all shapes, sizes, and alcohol contents, one fact remains true: BEER TOURS GOOD. 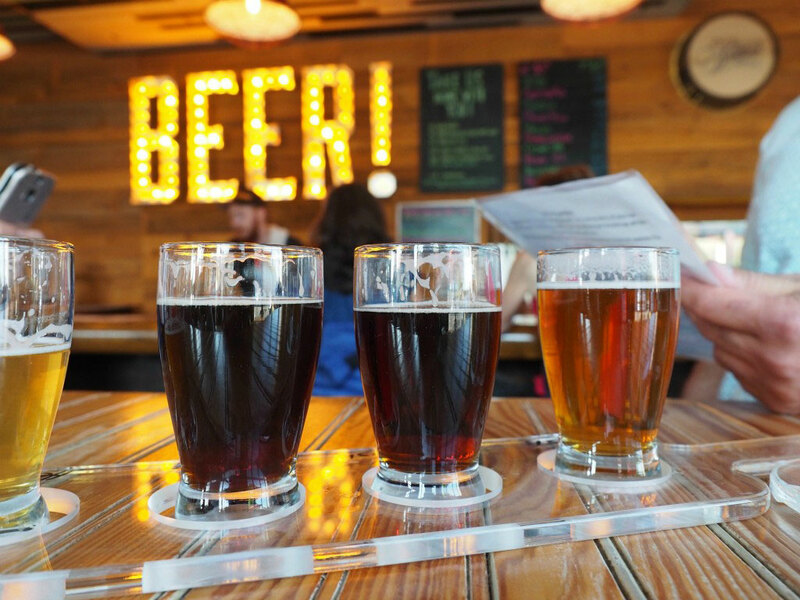 With the variety of tours available, you’re bound to find a beer tour that suits all of your desires. And if not, take it anyway. It’s a beer tour. Need a place to start? Check these out. Oh, and PROST!